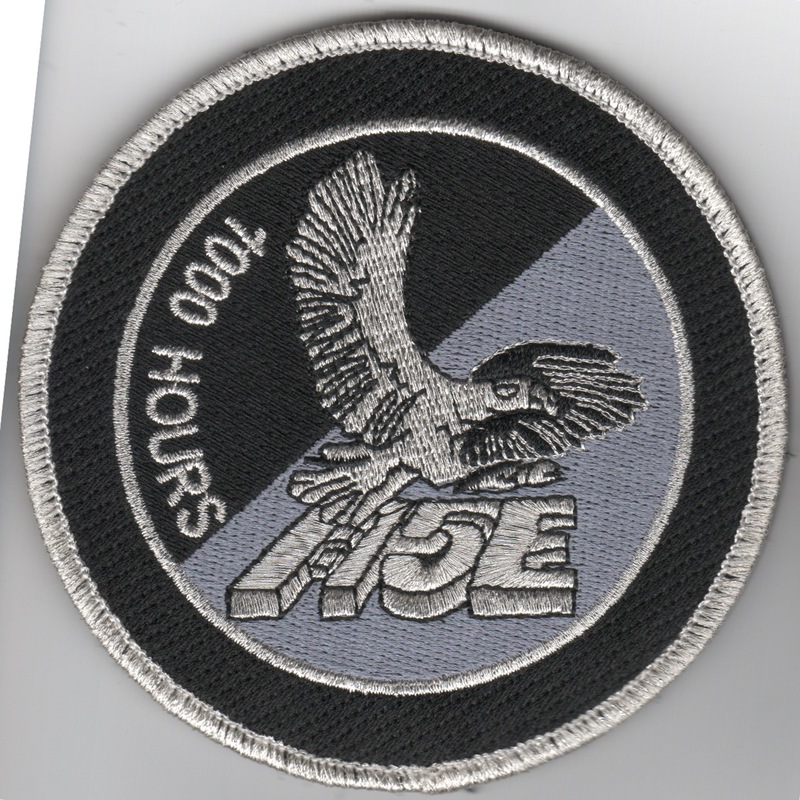 This is the silver/black "tinsel" version of the 1000 Hours patch for the F-15E Strike Eagles worn by both pilots and WSO's. This patch does come with velcro attached. 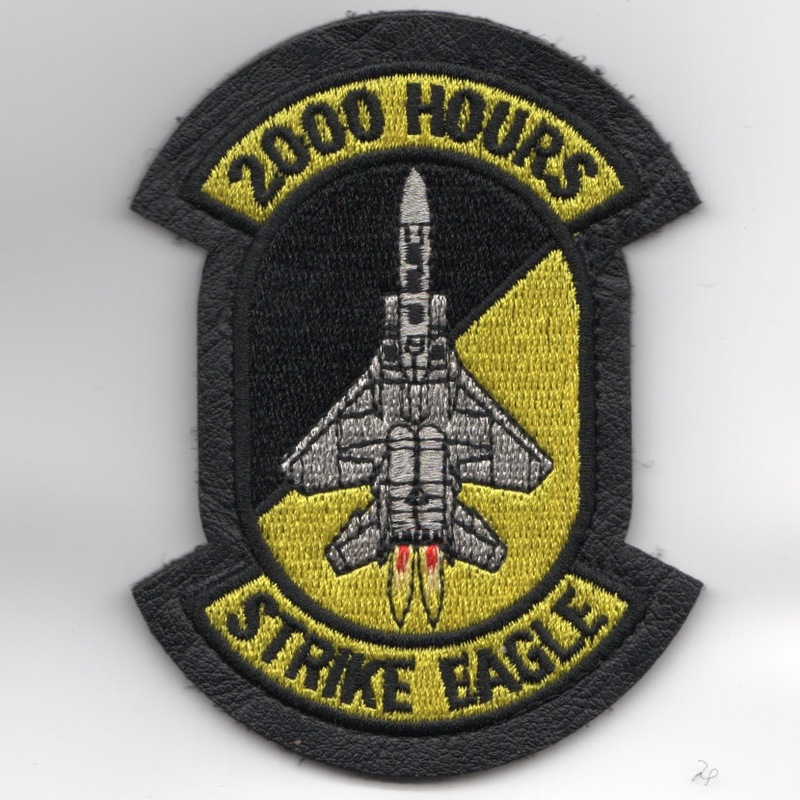 This is the silver/black "tinsel" version of the 2000 Hours patch for the F-15E Strike Eagles worn by both pilots and WSO's. This patch does come with velcro attached. 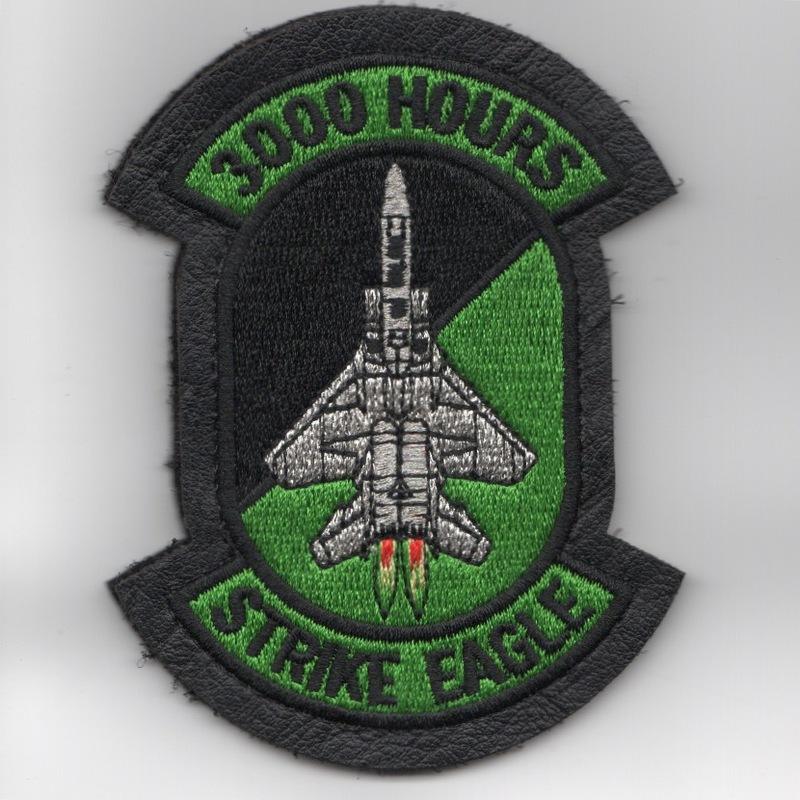 This is the silver/black "tinsel" version of the 3000 Hours patch for the F-15E Strike Eagles worn by both pilots and WSO's. This patch does come with velcro attached. 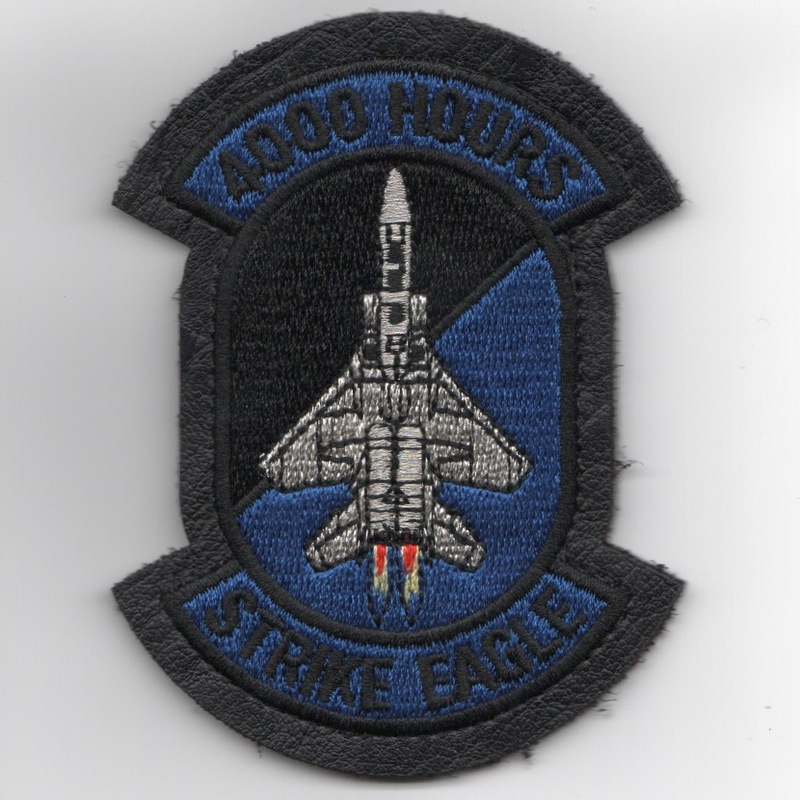 This is the silver/black "tinsel" version of the 4000 Hours patch for the F-15E Strike Eagles worn by both pilots and WSO's. This patch does come with velcro attached. 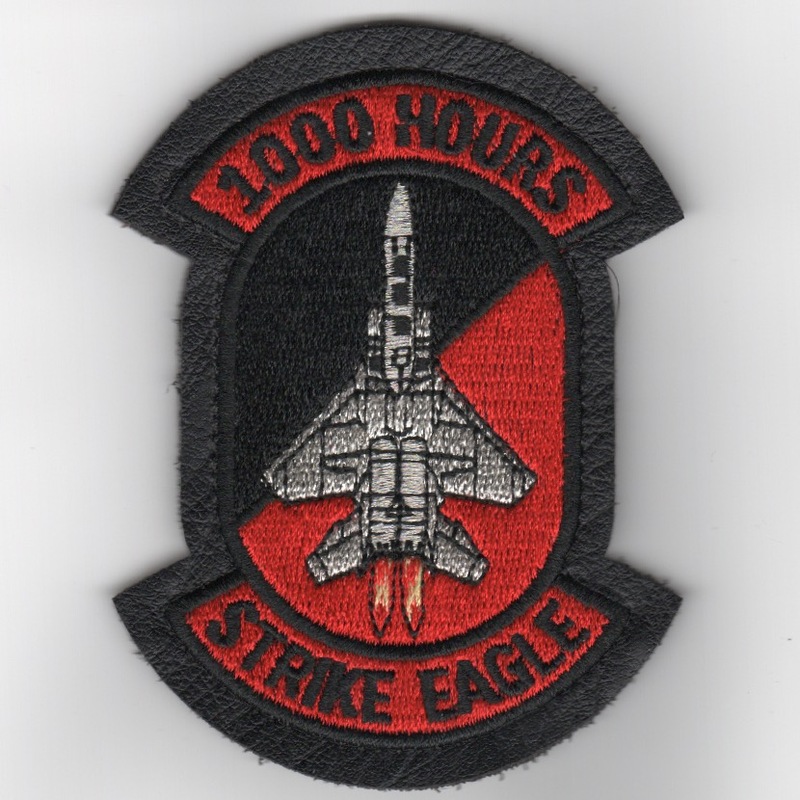 This is for a "set of 4" silver/black "tinsel" version of the 1000/2000/3000/4000 Hours patches for the F-15E Strike Eagles worn by both pilots and WSO's. These patches do come with velcro attached. (Another AV8RSTUFF Creation): When I flew the mighty Strike Eagle (late '90s), 'QUIZMO' and I worked on this design for several years to get it exactly right. As we 'PCS'ed' away, it fell to the wayside until last month when one of the squadrons asked us to complete the project. 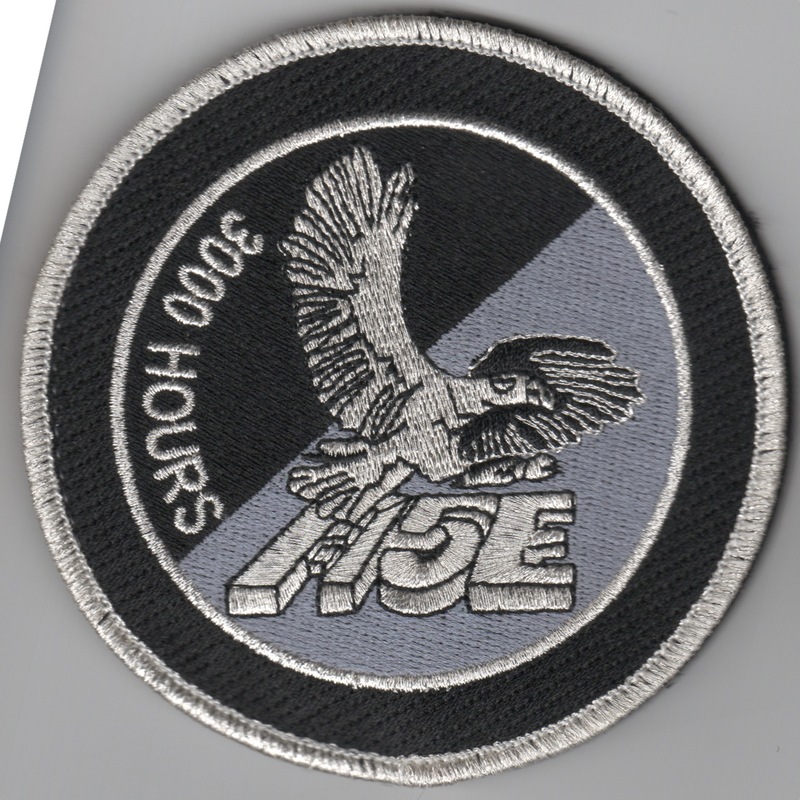 This is the "red" version of the LEATHER-bordered 1000 HOURS patch asked for and does come with velcro attached. (Another AV8RSTUFF Creation): When I flew the mighty Strike Eagle (late '90s), 'QUIZMO' and I worked on this design for several years to get it exactly right. As we 'PCS'ed' away, it fell to the wayside until last month when one of the squadrons asked us to complete the project. 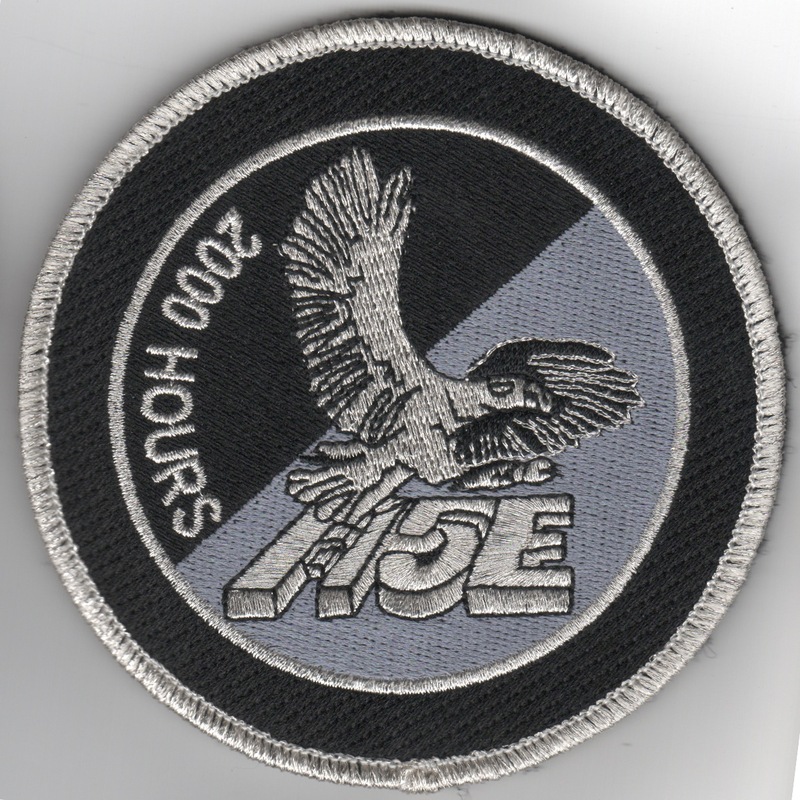 This is the "yellow" version of the LEATHER-bordered 2000 HOURS patch asked for and does come with velcro attached. (Another AV8RSTUFF Creation): When I flew the mighty Strike Eagle (late '90s), 'QUIZMO' and I worked on this design for several years to get it exactly right. As we 'PCS'ed' away, it fell to the wayside until last month when one of the squadrons asked us to complete the project. This is the "green" version of the LEATHER-bordered 3000 HOURS patch asked for and does come with velcro attached. (Another AV8RSTUFF Creation): When I flew the mighty Strike Eagle (late '90s), 'QUIZMO' and I worked on this design for several years to get it exactly right. As we 'PCS'ed' away, it fell to the wayside until last month when one of the squadrons asked us to complete the project. This is the "blue" version of the LEATHER-bordered 4000 HOURS patch asked for and does come with velcro attached. (Another AV8RSTUFF Creation): When I flew the mighty Strike Eagle (late '90s), 'QUIZMO' and I worked on this design for several years to get it exactly right. As we 'PCS'ed' away, it fell to the wayside until last month when one of the squadrons asked us to complete the project. This is the "Red/White/Blue" version of the LEATHER-bordered 5000 HOURS patch asked for and does come with velcro attached. 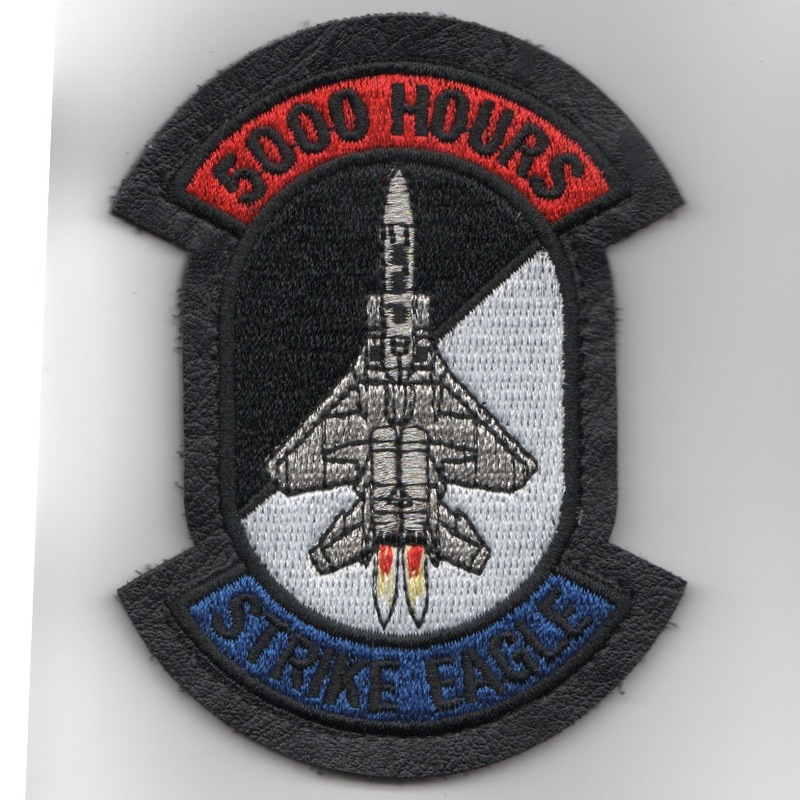 (Another AV8RSTUFF Creation): Use this link to get the "colored" set (5) of F-15E Strike Eagle patches shown above at a discount. 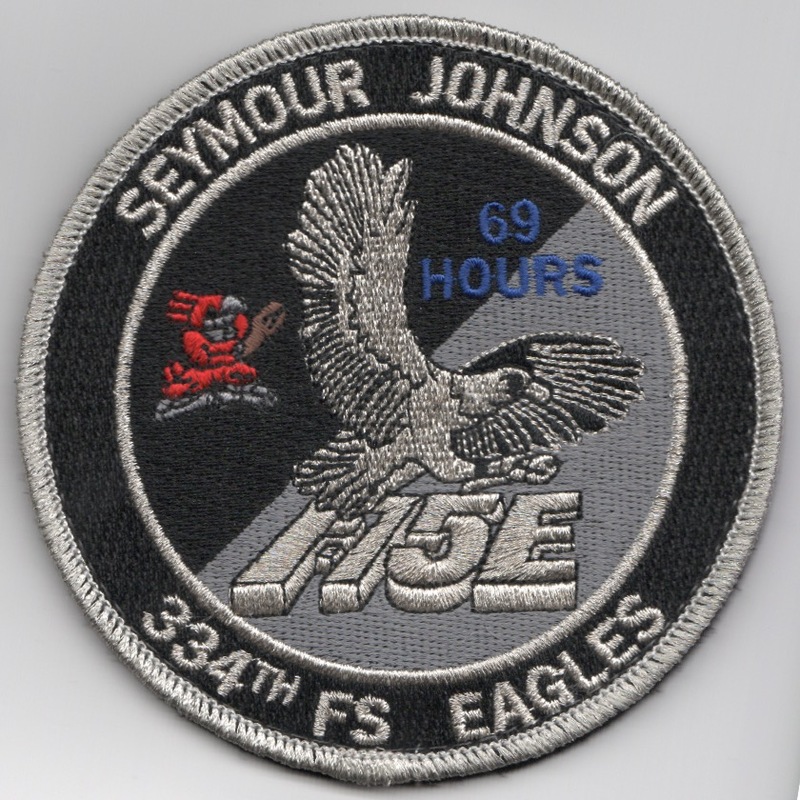 Homepage | Order F-15E 'HOURS' Patches!